Various groups on social media have reached out to the Christchurch terror attack victims’ families and are assisting them to dig graves, arrange for transports and provide food and comfort. Christchurch: Indians living in New Zealand have extended their support to families of the Muslim worshippers who lost their lives in the Christchurch terror attack. Various groups on social media have reached out to the victims’ families and are assisting them to dig graves, arrange for transports and provide food and comfort. According to one such Indian, identified as Pooja Prasad, her family has offered food and transport to the relatives of the victims. "I have offered help to those families who lost their members. Also, I am trying to contact Indians living here who have also faced brutality by the terrorist if, in case, they need any help," Pooja told MyNation. Pooja went to New Zealand last year along with her family. Similarly, a group of Sikhs has come forward to help the grieving families. They have requested people on social media to help the victims’ families in all possible ways. "We have been asked and informed by one of the Muslim representatives in Akld that the Muslim community in Christchurch need people for seva for washing bodies, transportation of families, cremating bodies and arranging langars for the people attending funerals and helping with other stuff,” Guru Nanak Free Kitchen Auckland posted on Facebook. They have also received responses from the public who are ready to help with seva. "We have already spoken to Christchurch gurughar who are ready to help the Christchurch Muslim community. Meanwhile, if anybody is keen or knows people in Christchurch who can help with seva, it would be really appreciated," the group posted on social media seeking help. Nine people of Indian nationality have also gone missing following the attack, the Indian envoy in New Zealand Sanjiv Kohli tweeted. 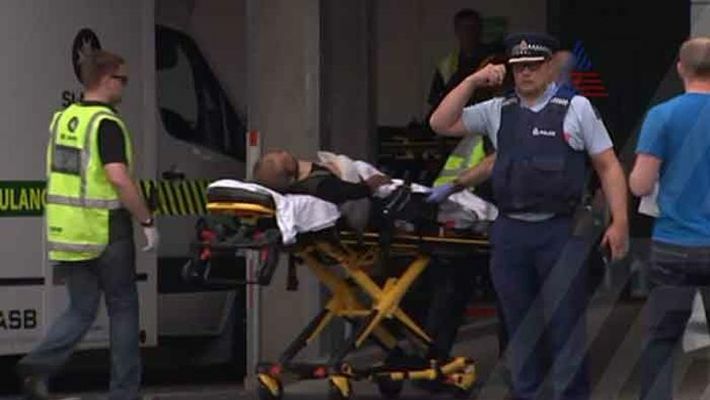 On March 15, terrorists barged into two mosques in Christchurch locality and started firing indiscriminately at Muslim worshipers, killing at least 49. The main accused Brenton Harrison Tarrant also live streamed the attack on Facebook.